Simultaneously launched with Oasis Garden Cafe is Waterside Restobar. Waterside specializes in Latin American and Mediterranean cuisine. It.has a modern interior that gives a semblance of luxury. 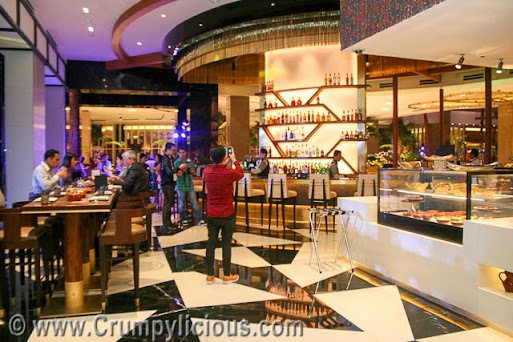 It has a bright, colorful and classy bar area. There are noticeably two types of dining areas, one with the usual table.and chair set up and the other with tall tables and stools. There are different stations which are all equipped with baking and cooking kitchen. I liked that every station is open and visible to the diners so you can view every chef at work and how your food is meticulously prepared. There are also dessert chillers. Some are apparently not filled up yet. I love the rolls filled with green olives! The Sardinillas is mackarel swimming in smooth and fruity olive oil with fragrant garlic bits. It is served with crusty bread. I loved this! I'm glad that Waterside introduced me to Boquorones. It is a fish dish in vinegar with runny eggs drizzled with aoili sauce. I found it interesting though I couldn't eat mush due to its tanginess. The Chorizo is topped with mini bits of melon topped with mint leaves. There's an interesting affinity of fruity, meaty and minty essence within this dish. The Jabugo is thinly sliced ham topped with melon (supposed to be pineapple on the menu) and bleu cheese laid over bread. The Banderillas is sticks of olives wrapped in piquillo pepper and grated garlic. The Paella Valenciana is saffron-spiced bomba rice with chicken chunks, chorizo, hard-boiled egg, prawns and pimiento. My friends loved this. However, it was too wet for my preference. The highlight of our meal is the wooden board filled with Beef Brisket, Jumbo Prawns, Crack Back Chicken and Inihaw na Liempo. I loved the Beef Brisket which was twice cooked, poached and charred. Next to that, I enjoyed the Crack Back Chicken which was brined, roasted and BBQ glazed. The shredded Asparagus is paired with goat milk and lemon. It's refreshing but not too interesting for non-veggie lovers. The Humita is so sweet and at the same time so spicy! The Crushed is scuffed carbonara potatoes. It is so good that I don't mind loading up with those carbs. The Pineapple Ravioli is an unforgettable dessert. It is a citrusy sorbet wrapped in thin cool sheets of pineapple topped with chili bits. I'm amazed at the craftiness and creativity placed into this. If you're looking for a total chocolate indulgence, then I'm sure you'll be more than fulfilled with the dark, rich and heavy chocolate consistency of the Dark Chocolate. It is served with sour raspberry jelly and cream which you'll need to sooth your palette from the over chocolate indulgence. Overall, I loved the experience! It has certainly broadened my flavor exploration for Latin American and Mediterranean Cuisine. 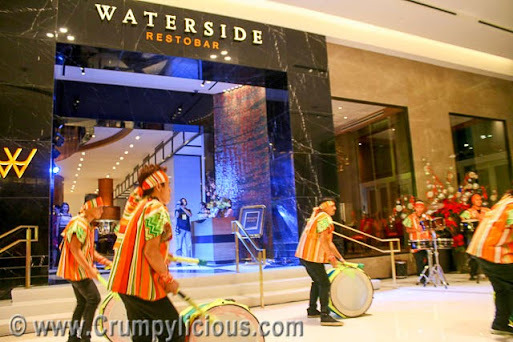 Congratulations Waterside for a great launch! Coca-Cola's new campaign 5 by 20 is one that is close to my heart. The campaign's goal is to have 5 million women micro-entrepreneurs by 2020. My grandmother was a sari-sari store owner and she was my hero. When my grandparents settled in Ilocos, my grandfather would spend his day picking up garbage while my grandmother would chip in from her sari-sari store. She started with a humbly small sari-sari store at the edge of their rented one-storey house. I can still recall the sari-sari store with wooden board sponsored by Coca-Cola®. It had Coke logo on the left and Sprite on the right. Through my grandparents joint effort, they were able to raise my parents and her 5 siblings successfully. I have a high respect for micro-entrepreneurs who try to make their business grow despite their limited funds by exerting more effort and passion into it. These women entrepreneurs are not just for the money. By putting their heart into it, . they play an essential part in the community and touch lives. Through Coca-Cola's 5 by 20 campaign, female sari-sari store owners will be provided with trainings and seminars to develop their skills, financial support to expand their investment capabilities and more. I'm glad Coca-Cola® recognizes their importance as the pillar of the Coca-Cola® business and much much more. I look forward to the success of the campaign. So much fuzz about the controversial movie "The Interview" made us all want to watch it. Thus, it was decided to be our official family Christmas Movie for 2014 since Sony released it earlier today through Google Play, YouTube Movies, Microsoft's Xbox Video and www.seetheinterview.com. Watching it at home with a bunch of people (around 20 of us) made it even more fun. The movie opens with a song in Korea insulting America. Then, it suddenly shifts back to the celebrity tabloid show "Skylark Tonight" hosted by Dave Skylark (James Franco). They've been interviewing various big celebrities and bring them into shame. After their successful 1000th episode where Enimem admits he's gay, Dave brings his show producer Aaron Rapaport (Seth Rogen) to his surprise party. While it was a celebratory party, Aaron meets his former classmate, a producer of a news show, who makes him feel crappy for giving people stuff that don't matter. This made him want to move on to more serious interviews and that's when Dave and him cooked the idea of interviewing the supreme leader of the Democratic People's Republic of Korea Kim Jong-Un (Randall Park) said to be a fan of their show. After being permitted for the interview, they are contacted by the CIA through Agent Lacey (Lizzy Caplan) for a mission to assassinate Kim Jong-Un. (Of course, this has already been revealed by the news as the controversial issue). The plot itself was interesting enough to make you watch it till the end as you want to know whether the two wackos: Dave and Aaron are persistent in fulfilling the mission and should they attempt to, would they be able to achieve it. The acting skills of the casts especially James Franco deserves distinction here. A great weight of the movie relied on James and he successfully pulled through. The due of James Franco and Seth Golden is superb. The two haven't been together since the Freaks and Geeks. Getting the two greens: Green Goblin and The Green Hornet together to make tons of green jokes was a great idea. The production in terms of sound and effects was okay but nothing spectacular. The setting were also limited so you'd wonder why it cost 44 million USD to make. The movie is mostly comedy but there are a few action and gory blood-splattering scenes that enhanced the humor. The jokes were a mix bag. I thought the main issue was the plot of the movie. But, as the movie went on, I noticed that there are insult comedy involve which includes satire and political jokes that attacks the "fictional" character of Kim Jong-Un and his political ways. But, before we get too serious and even connect watching this movie with patriotism, let us first set our minds that this is a light funny slapstick comedy. The plot is completely exaggerated, senseless and impossible. Moreover, there were a lot of movies prior to this that had the same kind of humor which did not rise to controversies. There were a lot of harmless green jokes and stupid jokes too. The moronic acts of the duo made as laugh hysterically. Some of the jokes are generational and current so we can relate to it but the next ones won't. 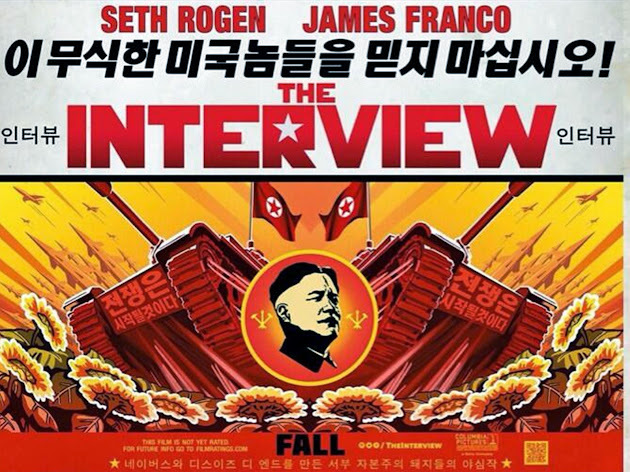 Overall, I enjoyed the The Interview and highly recommend watching it for fun! 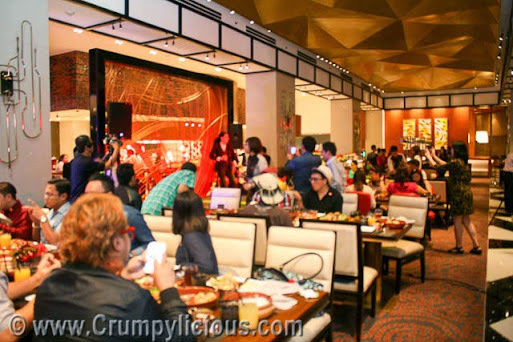 Having visited Solaire Resorts and Casino and dining at Fresh Buffet twice, I could never have thought that it could even be expanded with their new Sky Tower. There's even an access to the Sky Tower from Fresh. Sky Tower includes two new establishments: Oasis Garden Cafe and Waterside Restobar. I was fortunate enough to be invited to the Oasis Garden Cafe Launch Afternoon Tea Party which I gladly accepted since I just love tea parties. 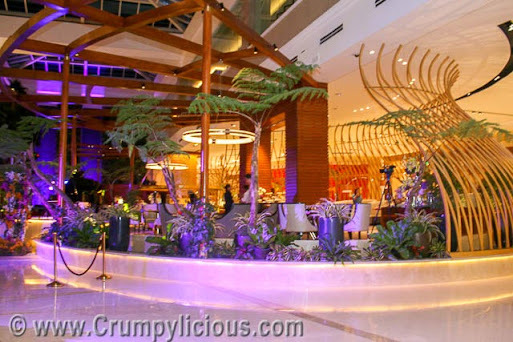 Oasis Garden Cafe is found on the Sky Tower Atrium. It has an exquisite and sophisticated structural design that makes it stand out. 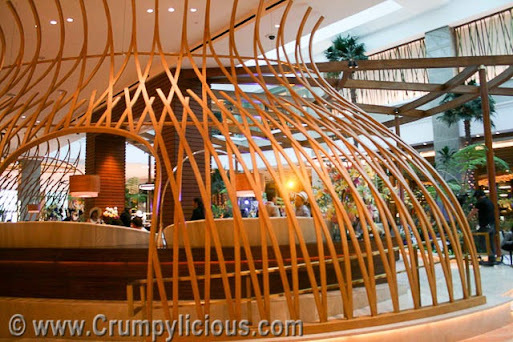 It has a beautiful sophisticated bird's nest-like divider that surrounds the establishment. It has a circular bar, cake display chiller and cozy lofts upon entry. Going up a few steps will leads you to a classy lounge-type area fully carpeted with cushioned seats and round tables. 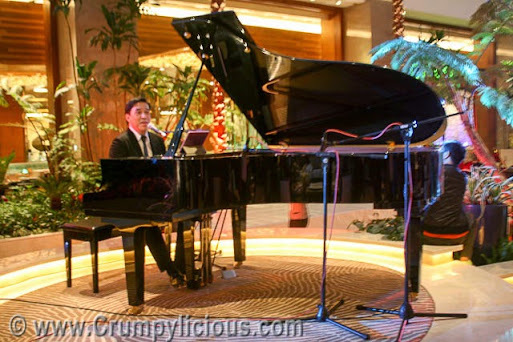 There's a highlighted platform for the piano. What's unique about it is that although you're cool and comfortable indoors, you are surrounded by nature. Yes, you can sift the floral scents of the blooming flowers and minty leaves. The clear glass roofing also affords a nurturing brightness. The other side affords more privacy and elegance with its crescent-shaped booths. We were serenaded while we enjoyed our snacks. There were scones, hand-crafted petite fours, tea sandwiches and all sorts of pastries. There were delicious chocolates similar to the ones I had at Fresh. 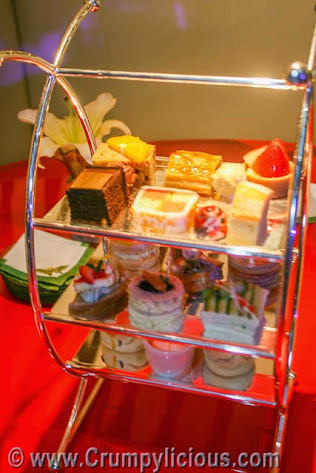 There are also high teas sets which includes any Solaire tea or coffee of your choice. The Made in the Philippines High Tea Set includes Ube Coconut Roll, Buko Pie, Macapuno Tart, Banana Turon, Leche Flan, Cassava Cake, Pastillas, Cheese Bibingka, Latik Bibingka, Macapuno Bibingka, Plain Pandesal, Corned Beef Pandesal, Tomato and Kesong Puti Pandesal and Three Out of the Oven Ensaymada. Everything is delicious! I'm impressed at how feather-light the Scones are. I especially loves the Cheese Crostini and the Smoked Salmon with herbed creme fraiche, capers, chives in toasted brioche. The BBQ Pork Pastry reminds me of the Chinese dimsum. The Egg Benedict is glamorous with poached quail egg covered with hollandiase sauce, ham, tomato jam laid on a crisp cheddar cheese biscuit. The Fire Cracker Spring Rolls is filled with seafood bits and dipped in sweet and sour sauce. Of course, the high light of an afternoon tea party are the teas. I had the ice cold Naicha which was sweet and creamy. I also had the cool, minty and lemon citrusy Seffarine Tea. And, the floral and fruity Passion Green Tea. Congratulations Oasis Garden Cafe for a successful launch! I hope to be back and spend an afternoon tea with the family. 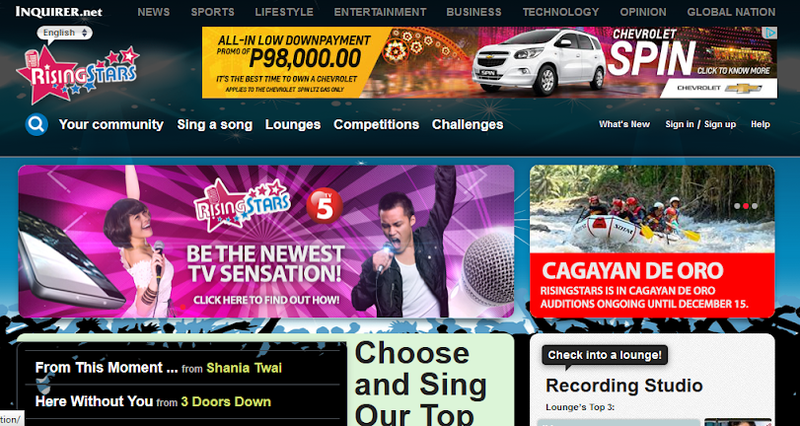 Watch out for the country's newest and biggest competition, RisingStars Philippines to be aired in Kapatid Network TV5. RisingStars Philippines is a one-of-a-kind singing and reality TV talent search inspired by the Filipinos passion and love for fun and singing. After auditions based on interviews and live performance, Central Luzon contests (7 from Pampanga and 7 from Dagupan, Lingayen-Pangasinan) will prove their talents on-stage this December 17, 2014 (Wednesday) 3pm at SM Clark Pampanga. The show will be hosted by Venus Raj and special guest will be made by Ogie Alcasid. The top five contestants who will win in the I can sing it better- Challenge Round 2 contestant will battle head on at the same time over a single song.number) will advance to the Solo and Final Round where they will perform the song of their choice. The top 2 winners will get an all-expense paid trip to Manila and participate in the Nationwide competition that will be seen on prime time TV from February to May 2015. Think you've got what it takes to be a rising star? Search is still on-going and sending an application is easy. Anyone 13 years old and above may record their performance and send it online using PC through their website www.risingstars.ph or downloading the RisingStars Karaoke Android mobile app. 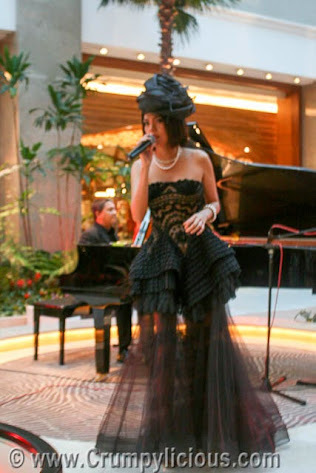 You can also sing at recording booths at selected malls, schools and barangays. For more contest details and updates, see posters, print ads, and log-on to the RisingStars website, or follow social media updates via Facebook /risingstars.ph or Twitter @RisingStarsasia. I woke up early one weekday for the Uratex Plant Tour. I haven't been on a field trip for ages so like an enthusiatic pre-schooler I boarded the van as instructed by our guide that brought us to the Uratex Plant in Alabang (only 30-minutes from Makati). We got to visit different parts of the plant, read long as I shall tour you too. After charging the chemicals into barrels and chilling them, they are then dyed and transformed into a hot fluffy foam. They are then cooled down. It is utmost important that they are distanced from each other as when they are too hot they can be flammable. Look at that... big foams! Next, we were to the most interesting part: cutting and packaging. 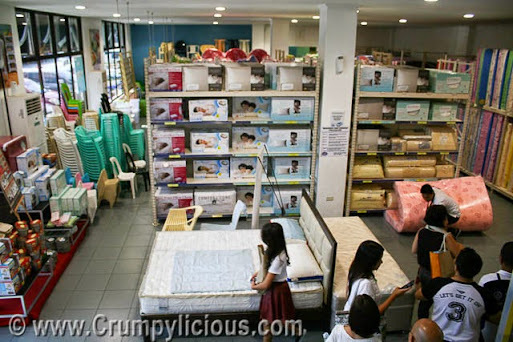 They use high-tech machines to cut the foams into mattresses precisely. They can adjust the thickness easily see. They are big machines too. Because of precise cutting no foam is wasted see? This is also where they stick their warranty stickers. This is also were they package them. Can't believe how fast they do these. The Research and Development Center is were they test for quality control. Yes, they check each batch at the start of the day. This is also were they innovate products like this two-sided bath sponge. Rough to remove dry skin and soft for soaping. This is a skin-covered foam for kids. Cool right? I also learned that manikins are made of the same material. Once products are made, they are sold at their showroom at 30% off compared to the ones you see at the department stores. 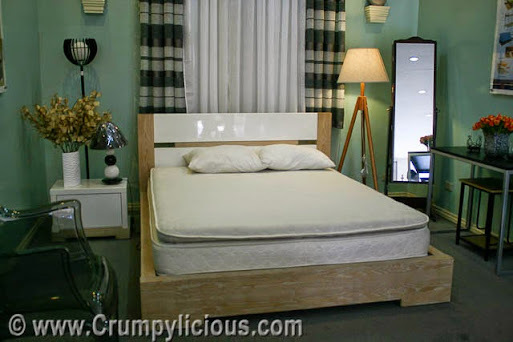 Here is where you can choose the mattress that is appropriate for your body type and weight. It's not about the price really. It's more complicated than that so better visit and check it out for yourself. Of course, there's the bedroom too. What a fun day! Thank you so much Uratex for the exciting plant tour.